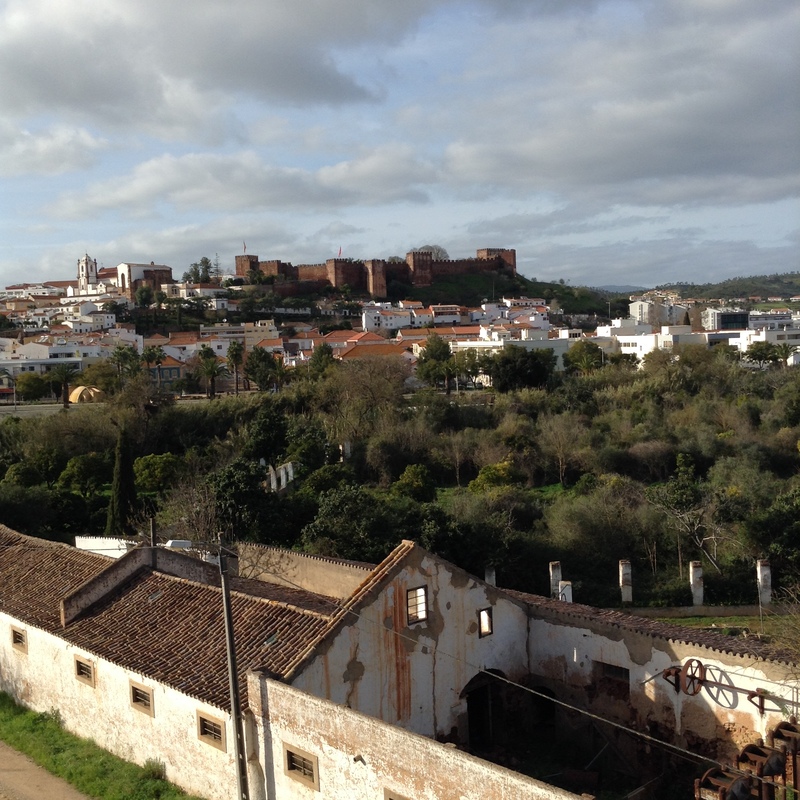 These photos are snaps of Silves, a city with a rather splendid castle, a little way north of Faro. Also a rare place in Portugal where I found craft beer being brewed (the bar was right next to the castle). 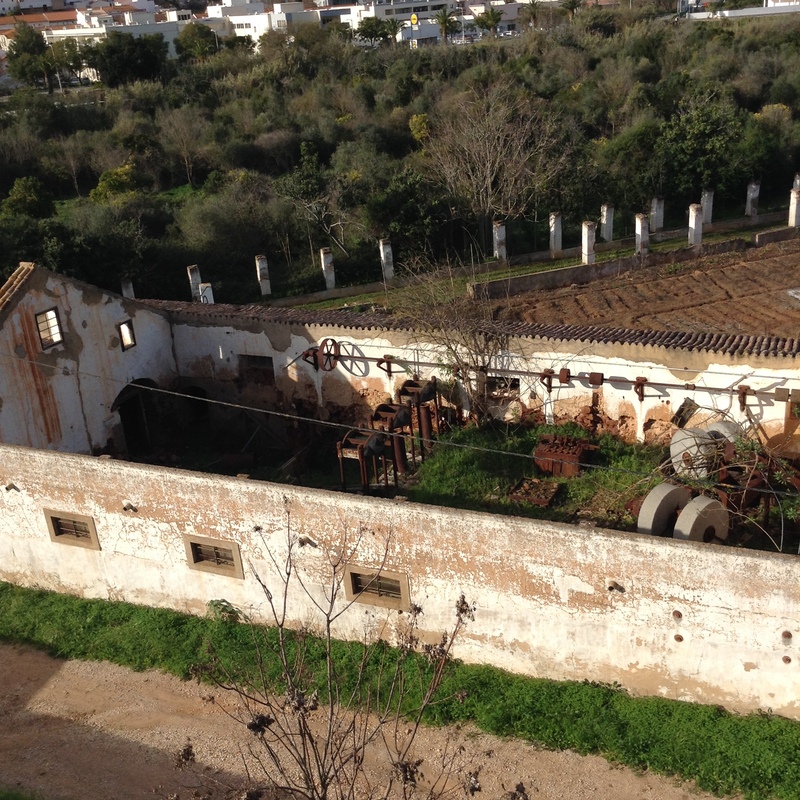 The first photo is a view of the castle from the hotel, with (at the bottom) a roofless factory. The second photo shows the factory, with some excellent line shafting mechanisms. But what did the factory make or process? What on earth are the three large metal containers-on-legs? Looked at it for ages, but I have no idea. And on a completely different matter, booking is now open for the Victorian Society study day on beer and brewing, on 7 May in London, where I’m talking about brewers’ architect William Bradford. This entry was posted in Abroad, Industrial architecture and tagged beer. Bookmark the permalink.